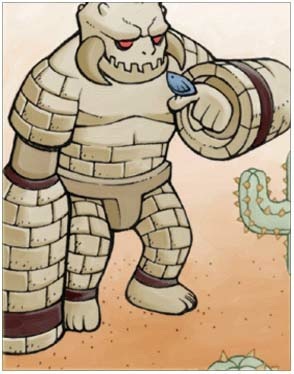 Driven by the spiritual stone heart, Its group members also includes endangered Stalactic Golem. With a strong appearance and a burly body, it has a weak heart. Its horrible destructive power will be erupted after being provoked!